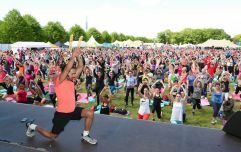 While you might not be able to say that Ireland has an extensive history of people hitchhiking around the country while lugging about kitchen appliances, it certainly has something of a track record in this area. First, there was the writer and comedian Tony Hawks, who brought a fridge with him around Ireland in order to win a £100 bet back in the late '90s. It resulted in one book, Round Ireland With A Fridge, and now, a man from Monaghan, has taken inspiration from the book by attempting a similar feat. This time, however, it's with a microwave and all the proceeds are going to charity. Diarmuid McCleary kickstarts his "Microwave Express" on Friday, 6 April in support of Jigsaw -the National Centre for Youth Mental Health. Starting in Ballinasloe, Galway, McCleary will be attempting to hitchhike across all 32 counties, while carrying a microwave and no money whatsoever. "I will be travelling alone with one rucksack and be relying completely on the kindness of strangers to survive as I will have no food or place to stay," McCleary said. He is also accepting donations to the cause via his GoFundMe page, with the objective of raising €1,000. "If you make a large donation of €100 I will try my best to complete and weird requests you have, i.e. go to a random place." Jigsaw has 13 hubs across the country, which provide young people, aged 12-25, with a place they can visit for free and confidential support from trained mental health professionals. Their early intervention model helps young people before they reach the point of acquiring a formal mental health diagnosis. For more information visit their official website here. 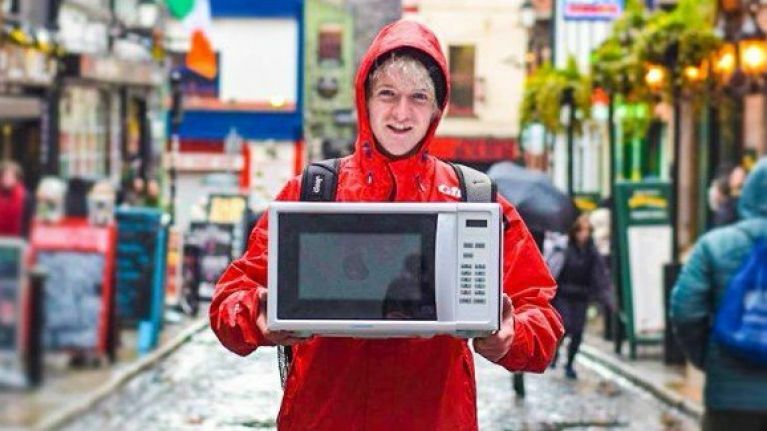 If you want to follow Diarmuid and the microwave on this journey, he is documenting it on Facebook and Instagram, or, to donate, visit his crowdfunding page here.